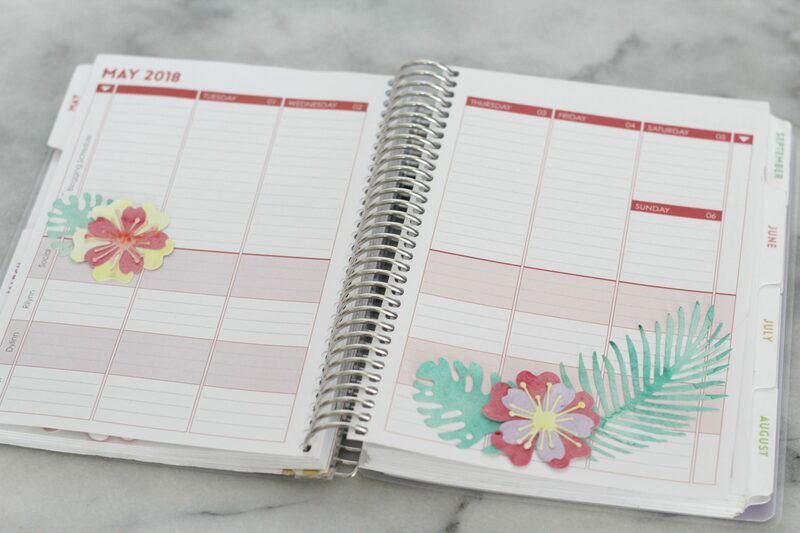 Decorate your planner with these handmade tropical flower planner stickers! 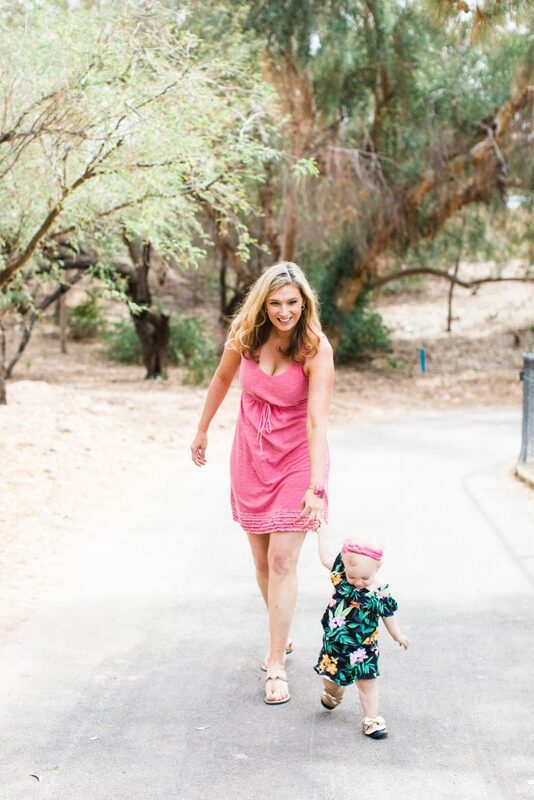 They are fun to create and make a big statement. Decorating my planner for the month is one of my favorite things to do. For May, I am all about watercolored paper in pastel colors and tropical flowers. 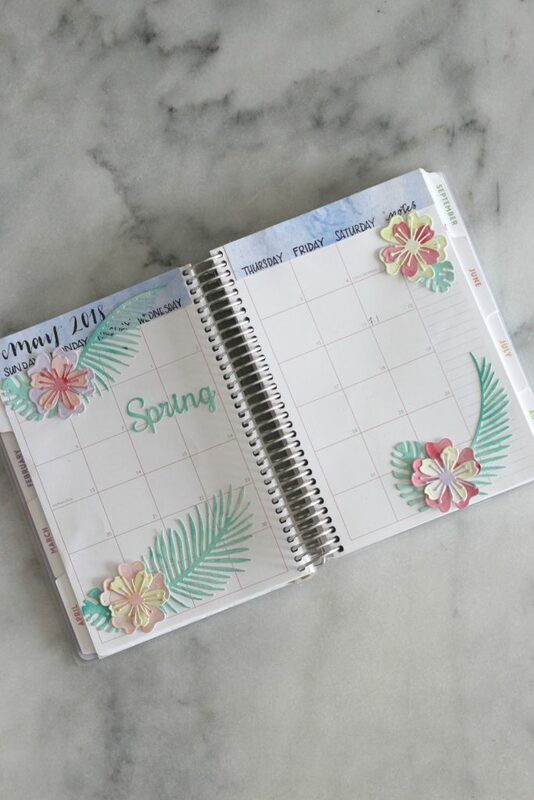 Using my Spellbinders dies and machine I was able to create my own handmade tropical flower planner stickers for a one of a kind decorated planner. I love using die cuts to create stickers and I love making stickers using my Xryon Sticker Makers. Eventually, I will upgrade to the Xryon Creative Station for making stickers, but I need to fine more space in my craft area before I do that! The flower dies that I used are called Blooms Three and they remind me of hibiscus flowers that are blooming right now in Arizona! It’s a lot of supplies, but these are all things I use quite frequently. The first thing to do is to color your paper. 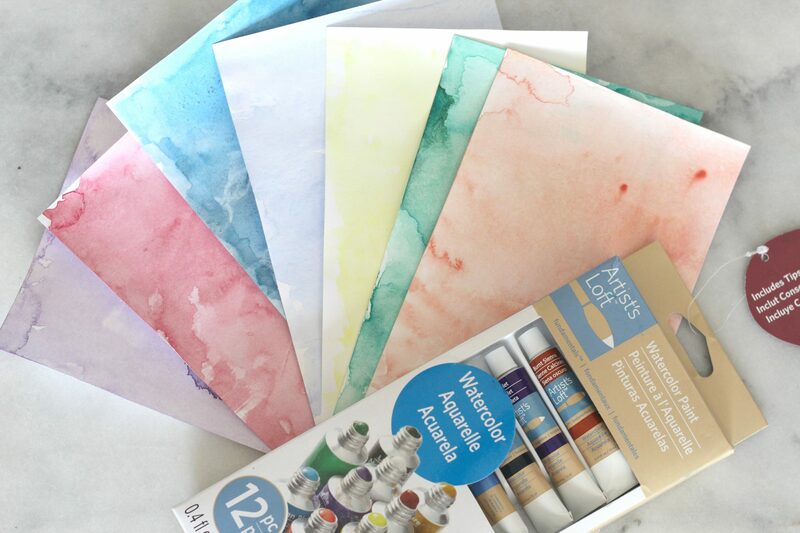 Take your card stock and wet the paper gently. Since it isn’t true watercolor paper I am very careful to dab my brush on the paper so not to rough up the paper fibers. Put a little color on the paper and dab all over. Let dry and repeat with the colors that you choose. Since the stickers will be going in my planner I like to use card stock instead of watercolor paper, so that the stickers don’t become to thick when layered. Looking for other die cut stickers to make? 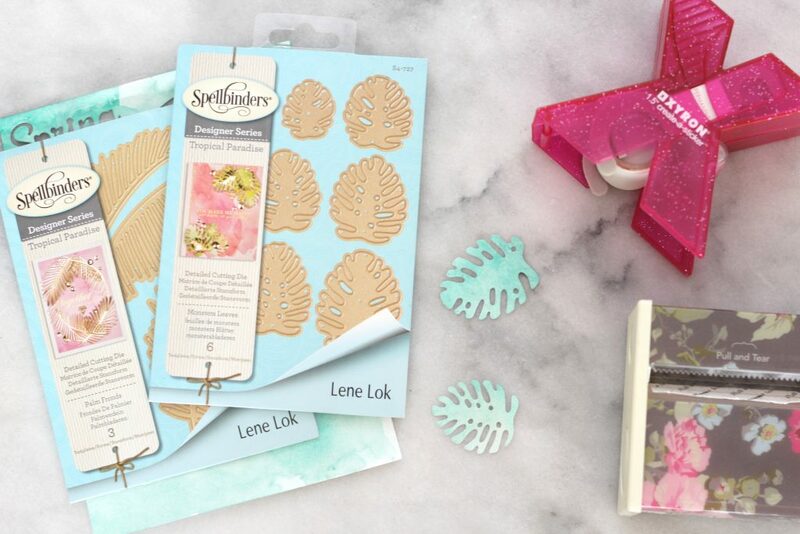 Check out these DIY Sweet Strawberry Stickers! Once dry, I put the paper under heavy textbooks to flatten out. I guess theres a reason I kept that giant pathophysiology book from grad school! 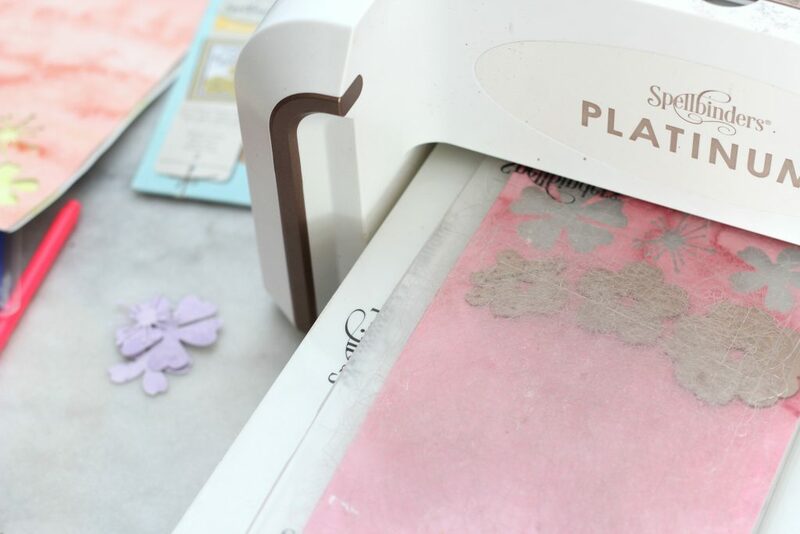 When you are ready, create a sandwich with your dies and the paper and roll through your die cutting machine. Once you have all your die cuts, it’s time to make stickers! I typically use the 1.5 inch Xyron sticker maker, since you can get refills for it. The 3 inch Xyron sticker maker is disposable/recyclable, so I’m not a huge fan, but I needed it to fit the palm frond die cuts. 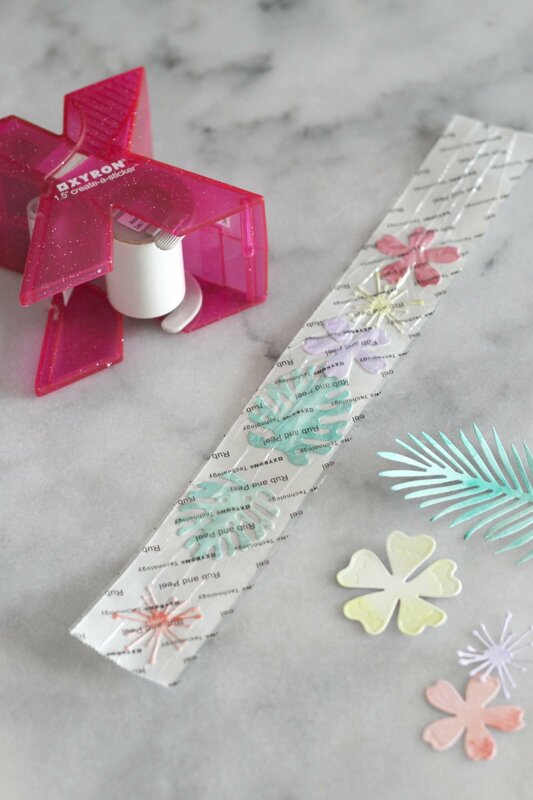 Put the die cuts in the sticker maker and pull the sticker paper through. Rub your fingers along the sticker extra well to make sure all the adhesive adheres. For the flowers I put the bottom petals through the Xyron, used a glue dot to attach the smaller petals to the larger petals and then ran the stamen through the Xyron then adhered that, creating a three layered flower. I have two planners that I use. I know, I’m not really that busy, but I just like planners. I have a Purple Trail and an Erin Condren one. I love the Purple Trail because it’s a great size (6″ x 8″) and I have the inside pages personalized so I can write down the kid’s stuff in their own sections. 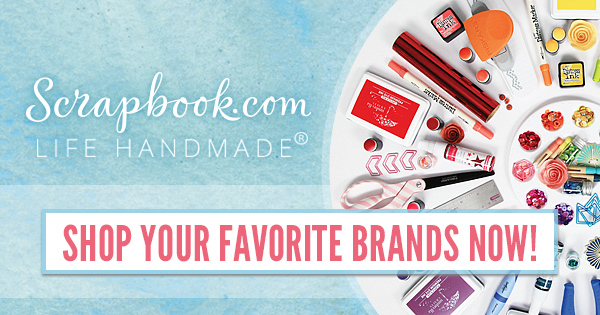 I love the Erin Condren one because I love the colors and I can order different cover add-ons. If you have noticed, I haven’t filled out my May schedule yet. Why? Because it’s going to be nuts and I need to really think about how I’m going to organize it. I’m going to go back to work, but just one shift a week. Enough to get me out of the house a little bit. 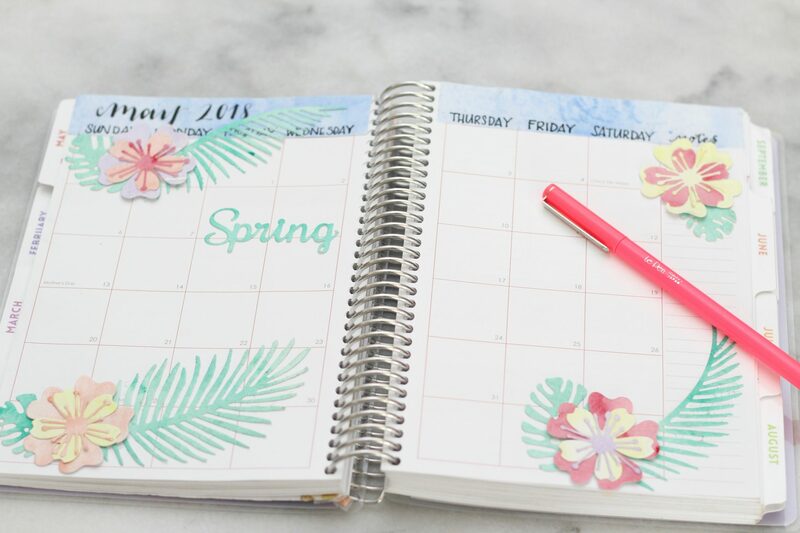 Also, I am going to participate in an “Everyday In May” group with some other bloggers. 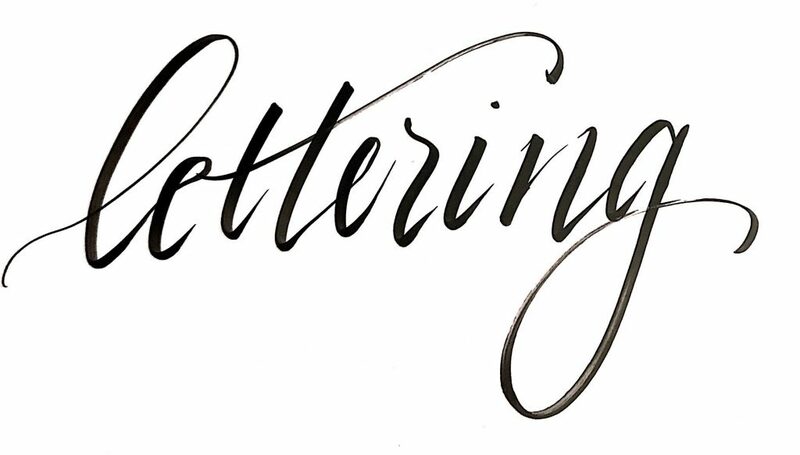 We will pretty much try and post everyday, or whatever our goal is, and encourage each other on. 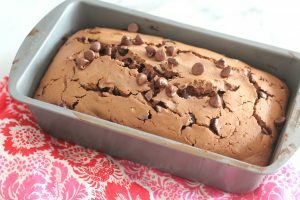 So I will be attempting to have posts three days a week here on Sparkle and three days a week over on my other blog, Low Carb Delish. It’s going to take some planning! 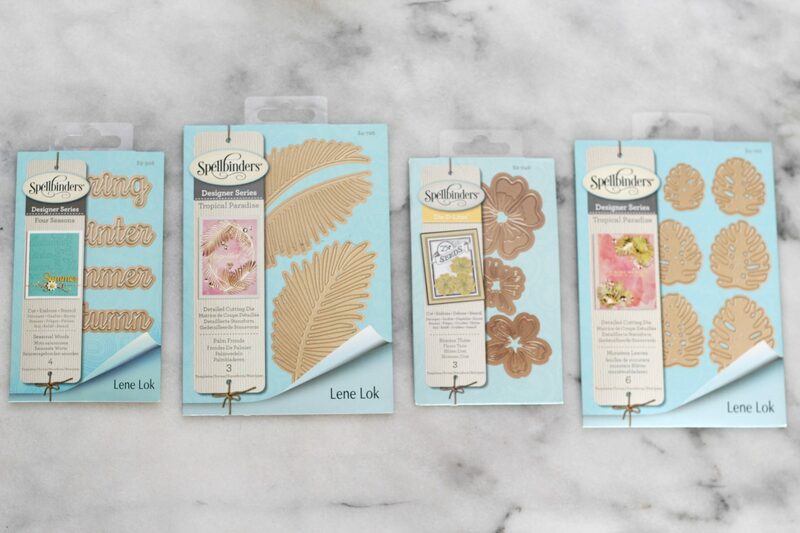 I hope you love these planner stickers as much as I do! 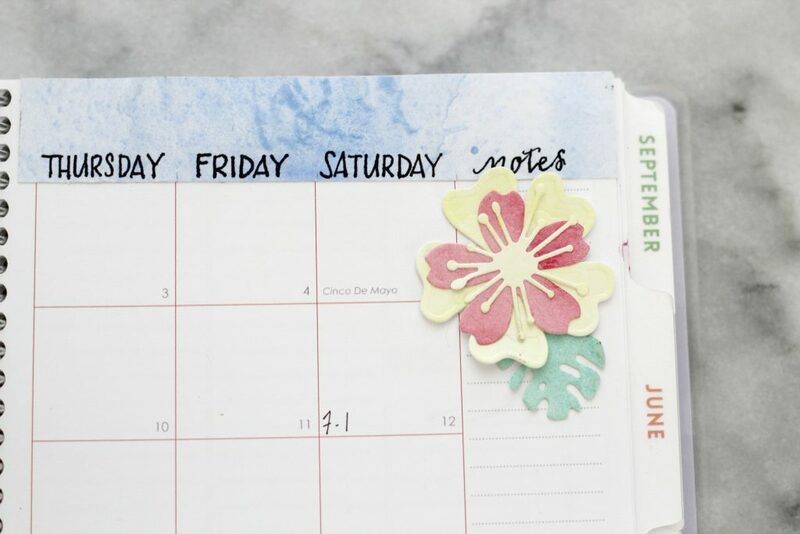 If you make some handmade tropical flower planner stickers be sure to let me know!